The SFB 1265 was established by the German Research Foundation (DFG) at Technische Universität (TU) Berlin in January 2018. The research centre focuses on changes in the socio-spatial order since the late 1960s. It comprises three key project areas, fourteen individual projects, one public relations project and an integrated research training group for early-career researchers. 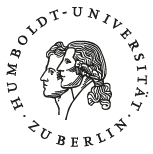 While the centre is hosted by Technische Universität Berlin, partner institutions in the joint project are Freie Universität Berlin, Humboldt-Universität zu Berlin, Westfälische Wilhelms-Universität Münster and the Leibniz Institute for Research on Society and Space (IRS) .